A short sale is little more than the lender agreeing with the current home owner to accept an amount that is less than the current outstanding balance of the mortgage. A short sale is usually a negotiated agreement between a home owner and their lender to discount a loan based on economic or financial hardship to the home owner. In turn, the house is sold at a price determined by the lender, at which point the lender will receive full proceeds of the sale. The lender will treat the payment as though the note was paid in full, and both lender and home owner walk away from the loan. Understand that this option is not open to every borrower facing foreclosure. Instead, there needs to be a demonstrable financial hardship that makes it next to impossible for the home owner to pay the difference between the lowered payoff amount and the actual outstanding balance of the mortgage. If the home owner can prove their inability to make good on the loan or at least the difference between the payoff and sale price, the lender is likely to agree to the short sale. Even so, there is a significant slowing in the overall sale process, and it takes a dedicated buyer or investor with an eye on the property to wait patiently for the approvals. Below are reasons why you should consider a short sale as well as the benefits of choosing a short sale over a foreclosure. While forgiveness of debt is not guaranteed in the short sale process, the reason why you should do a short sale is that many banks and lenders release borrowers from liability over the remaining deficiency following a short sale. For instance, a home owner with a home mortgage loan of $250,000 who sells it for $200,000 will have a remaining balance of $50,000. Upon being released from responsibility by the bank or lender, the borrower will not be required to pay any of this balance, including the closing costs, real estate commissions, property taxes, etc. Although not every bank will be willing to facilitate the short sale process and grant debt forgiveness, banks understand that foreclosures cost much more than short sales, with short sale homes selling for an average of 26% more than the same homes selling after foreclosure. Foreclosures also include many additional costs, and borrowers must pay any missed mortgage payments. On the other hand, short sale home owners can receive a statement in writing of a bank or lender’s decision not to pursue the deficiency, essentially releasing them from all liability. In addition to debt forgiveness, another reason why you should perform a short sale is the benefit with regards to credit, both in the short term and in the long term. The more mortgage payments missed, the larger the effect on credit, and therefore the sooner the home sells, the faster your credit will recover. In contrast, borrowers who are current on their mortgage payments will see minimal credit consequences, and in fact, removing the large debt from your credit report can potentially have positive effects. Regardless of the circumstances, short sales affect credit substantially less than foreclosure proceedings. Click here for additional information regarding short sale credit implications. Along with the effects of a short sale on FICO score, these transactions influence the ability of borrowers to secure mortgage loans. Following derogatory credit events such as bankruptcy, foreclosure, or a short sale, borrowers will be ineligible to secure a new mortgage, depending on the type of loan which they would like to acquire (rather than the kind of loan that was previously held) for a set period. The waiting period for short sales is much shorter than those imposed for foreclosures; for instance, while short sales require a waiting period of 2-4 years for conventional loans, foreclosures require that borrowers wait seven years before being able to secure the same loan. While short sale requires that borrowers postpone acquisition of any new mortgage loans for several years, the dream of homeownership does not necessarily have to be relinquished, and many short sale borrowers can secure home loans with relative ease following the waiting period. 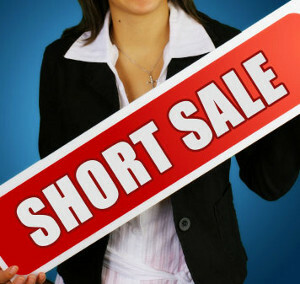 Click here for more information about a home purchase after a short sale. Many homeowners are waiting to sell their home until their property values increase and they are no longer underwater. These homeowners remain living in the home, struggling to make mortgage payments and considering renting out the home. Unfortunately, homeowners in these scenarios tend to foreclose, being unable to sell their home after falling too far behind on mortgage payments. Accordingly, home owners hoping to regain their lost home equity should plan for a long-term commitment, aiming to retain the property for at least 7-10 years. With this amount of time, home owners can pay down the principal balance of the mortgage, reducing the size of the debt and allowing the market time to grow and appreciate. Borrowers should not attempt to regain home equity while struggling to pay monthly mortgage charges, as changes in the housing market will require much time. Many borrowers consider a foreclosure and repossession of the property to be embarrassing, with the bank publically auctioning the property on the front lawn. Furthermore, the home will essentially be abandoned during the process, leaving the property to fall into disrepair or to be vandalized. While they do not relieve the borrower of all negative consequences, short sales do not involve any public display, allowing home owners to handle the matter more discreetly.